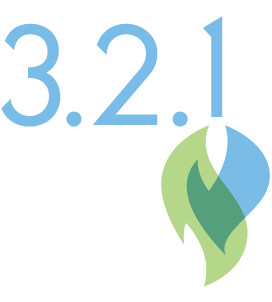 3.2.1 provides the perspective to raise the success of all your work. With a focus on “doing the next thing well,” 3.2.1 helps organizations move through those points where it’s easy to get stuck. Efficient, effective and fast—our processes are designed to get you further faster. With tools designed to be used daily, 3.2.1 enables teams to immediately use the good stuff that happens during planning. The passion to help teams work better together infuses all we do. If you’d like to know more about how 3.2.1 creates powerful teams and cultures—the kind that get to the next, well—let’s talk. We’d love to talk further. If you have questions or would like to schedule a time to meet, drop us a line. 3.2.1 is located a half-mile west of Highway 494 on Highway 7. Coming from 494, take a left at the first light (Williston) and then an immediate left onto the Service Road on the south side of Highway 7. The destination is the 4th building on your right (immediately west of the General Store). Remax Realty has first floor of the building and 3.2.1 is on the second floor in the Commons. To make sure you're a person, what's the capitol of Japan?